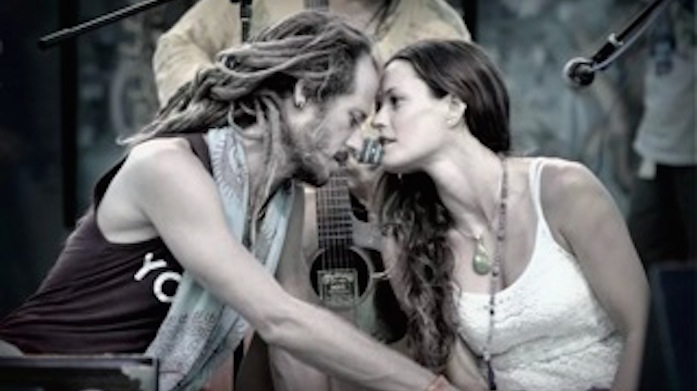 Govind Das and Radha are California-based Bhakti yogis and Kirtan singers. They are a husband and wife team with great love and devotion for the Divine, their Guru, each other, and life itself. This is the essence which is reflected and transmitted through their music. Through the sacred practice of Kirtan, repetitiously chanting the names of God/Goddess from ancient India, they will guide you on a musical meditation and yogic adventure deep into the essence of Bhakti – the yoga of the Heart, the yoga of Love. Through the grace of their teachers, they have uniquely melded ancient Indian mantras with western melodies, yet still playing traditional Indian instruments. Their music has been described as a trance inducing mandala, where organic ambiance, meditation, art, and prayer merge together as One. They lead Kirtan concerts, Bhakti yoga workshops, and transformative retreats throughout the world.